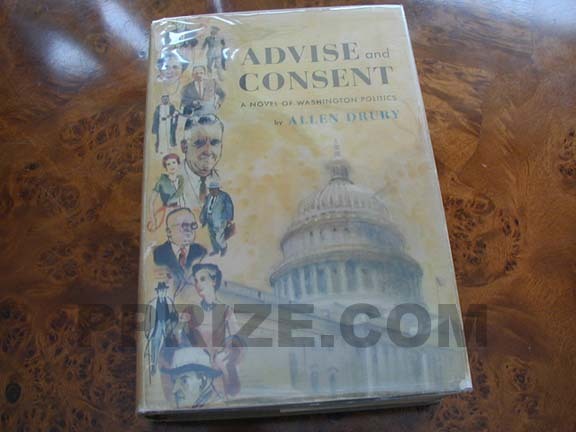 Advise and Consent won the Pulitzer Prize for Fiction. 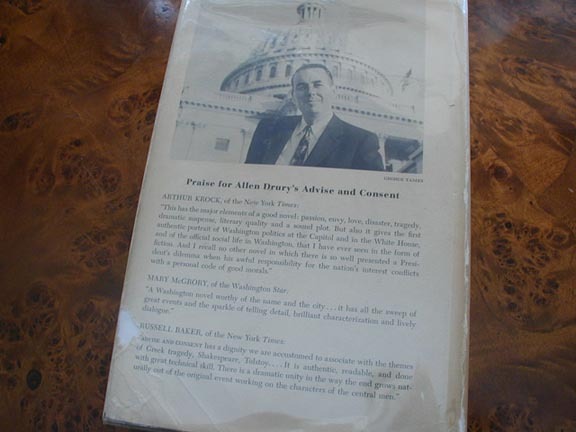 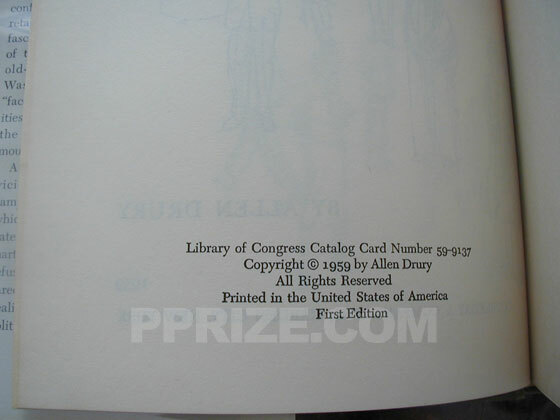 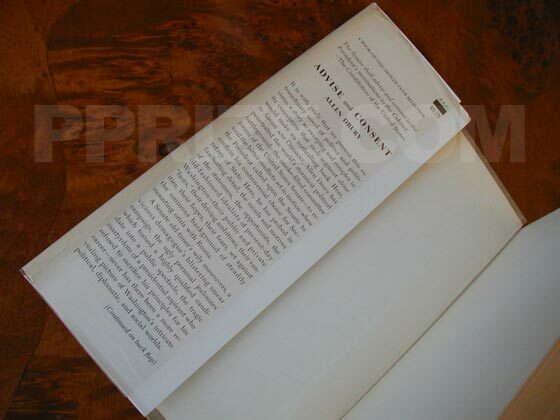 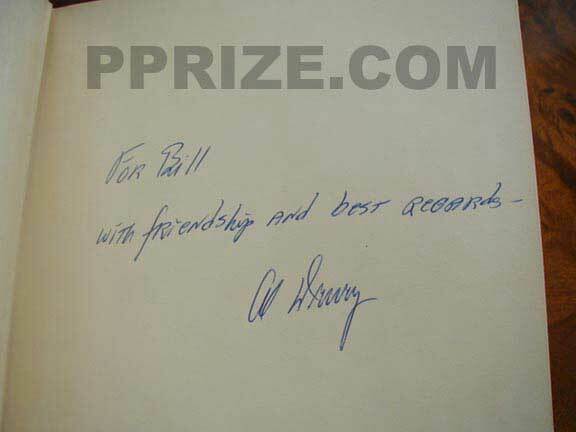 Other first edition points for books by Allen Drury include: Capable of Honor. 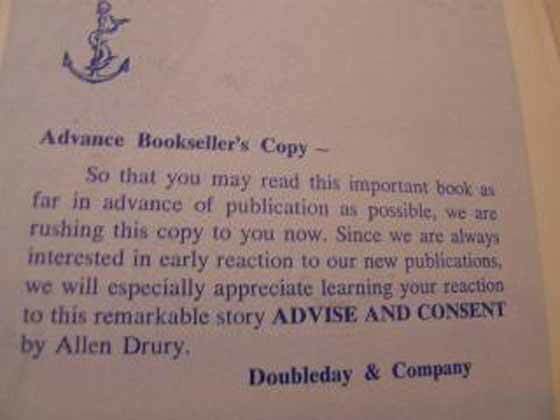 Use the pre-filled links below to find the market value of Advise and Consent. 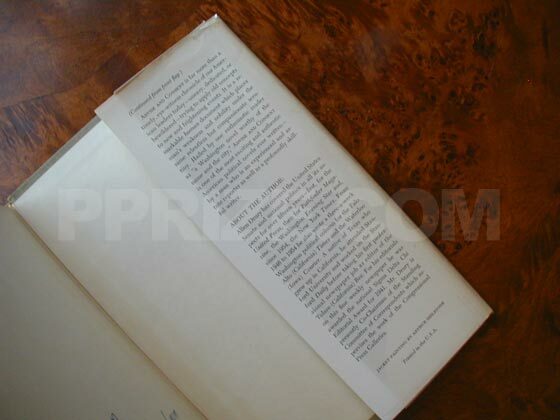 Remember that the dust jacket is an important part of any book, and so books without their original dust jackets typically have less value.